Unlike Le’Veon Bell and Aaron Donald, New York Giants superstar receiver Odell Beckham Jr. showed up to training camp. 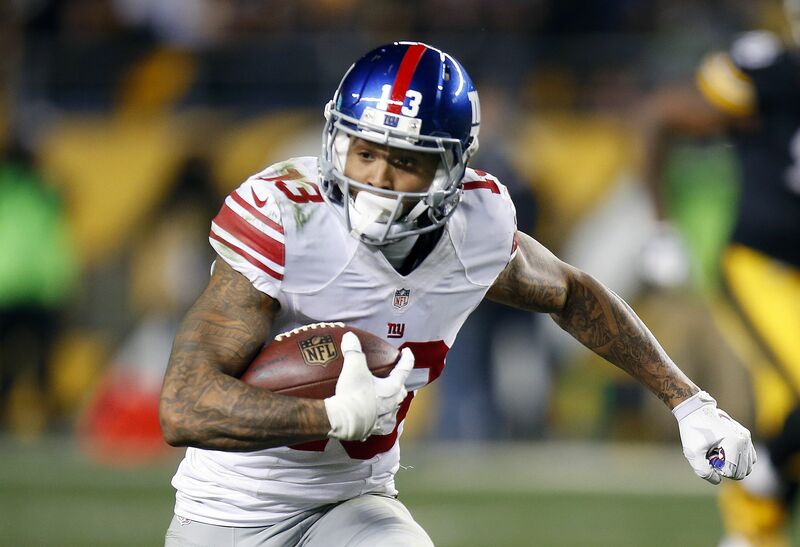 In four months, Odell Beckham Jr. will turn 25 and he’s widely regarded as one of the best players at his position. After his first three seasons in the ‘Big Apple’, the former LSU standout has racked up insane numbers. 288 catches, 4,122 yards, and 35 touchdowns to be exact. Beckham has been playing under his rookie contract, but that will soon come to an end. This is the first offseason Beckham Jr. is eligible for an extension and he wants to be paid the big bucks. When speaking to Uninterrupted, Beckham let the world know his value through his eyes. At this point, there have been no negotiations between Beckham and the organization, which comes as no surprise considering he’s under contract for the next two seasons. However, Owner John Mara has very little doubt that something will get done in the future. Most times, in situations similar to this, you’ll see the superstar athlete elect to hold out of training camp, but that’s simply not in Beckham’s DNA. “I don’t have time [to hold out],” Beckham stressed. “I’m 24 years old. I’m trying to play football until I can’t play football anymore. I can’t get caught up taking days and not playing. If you’re a Giants fan, you have to love Beckham’s attitude heading into the season.